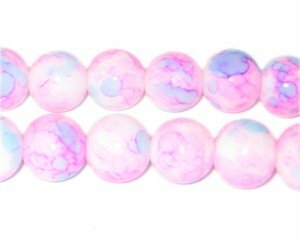 These are 12mm Marble-Style Pink Glass Beads on an 8" string. These beads are brighter than in the picture. I just received my 4th order from this company. Items were perfect, shipping was reasonable, and very FAST! I'll keep coming back. Thank you.